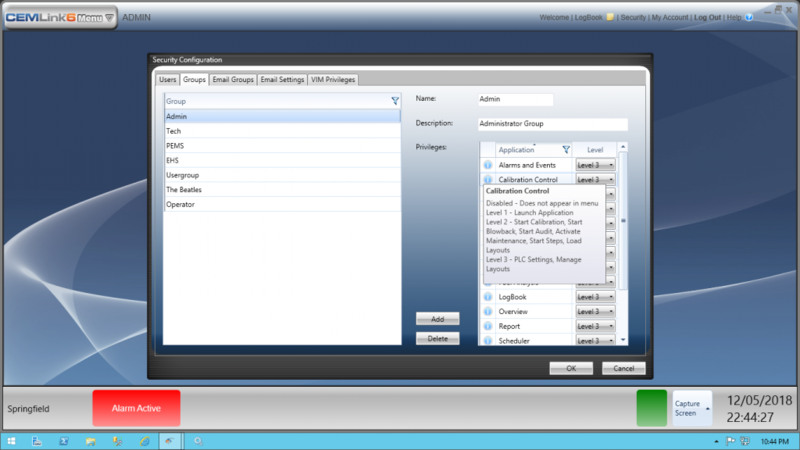 Users can configure a custom dashboard with the easy to use drag-and-drop tools. The graphic visuals enhance the presentation of data to increase communication of important figures. In addition to diagrams and images, users can display annunciators, trends, alarms, analyzer diagnostics, and more. 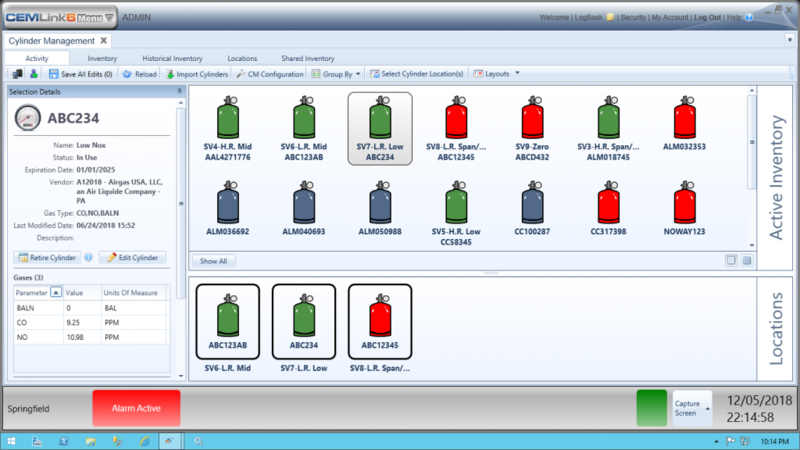 The Calibration Bottle Management interface helps automate the tracking and storage of gas cylinder calibrations, making it a one-stop shop for monitoring concentrations and expiration dates. Engineers can link all calibration and audit routines together, eliminating the need for repetitive data entry. A couple of clicks and a comprehensive report is created. 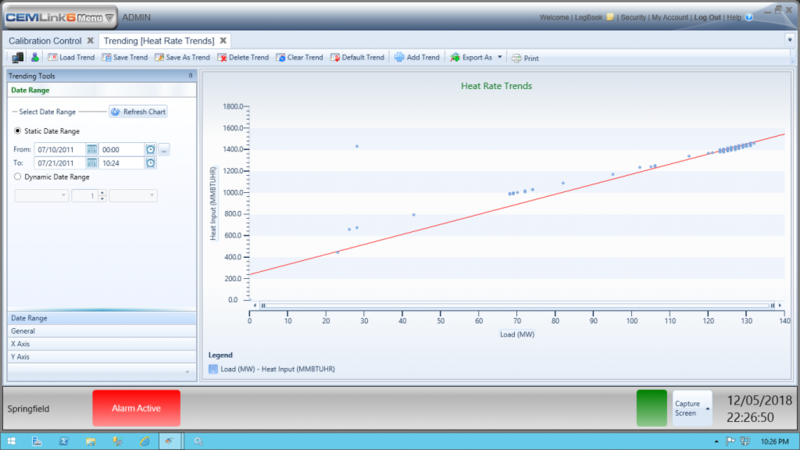 The CEMLink6 Data Viewer makes data organization, filtering, and exporting a breeze. Save on time with convenient sorting tools that help you find exactly what you need with minimal effort. Users can track emissions and compliance data using the “Display Variables” feature which dynamically shows all the constituents in a calculation or average to know exactly how data is generated. 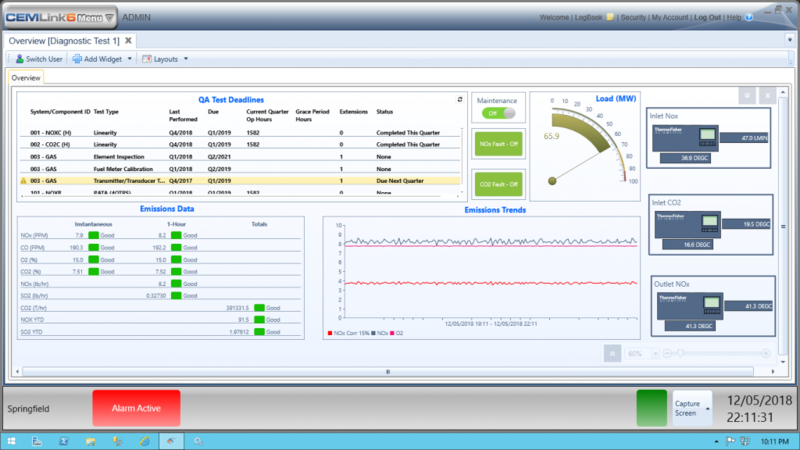 CEMLink6 controls, monitors, displays, and logs all calibrations and audits related to the system, allowing environmental staff to schedule and automate linearity audits. Without the need for additional programming or engineering, users can schedule individual test runs, every hour on the hour. Perfect for those subject to 40 CFR Part 75. 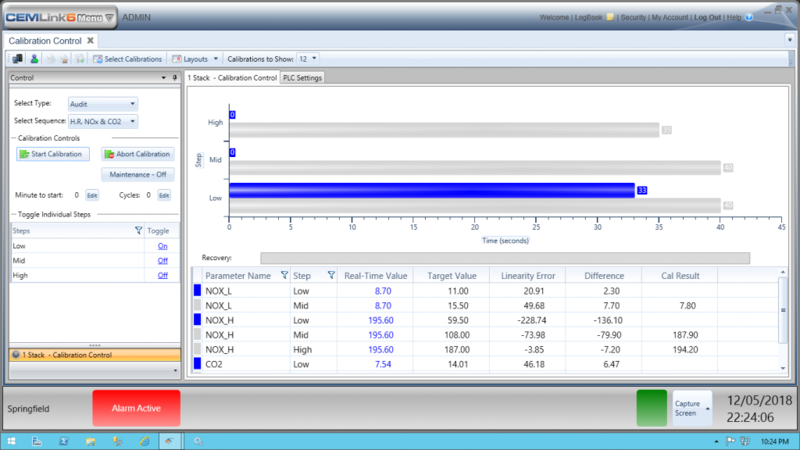 Users can build and save displays to help streamline future trend monitoring and report creation. Automated emails with the latest data can be sent on a daily or weekly basis. No need to pull the data on your own! Track compliance events, alarms, and system events without interruption and simply filter to access the desired information. 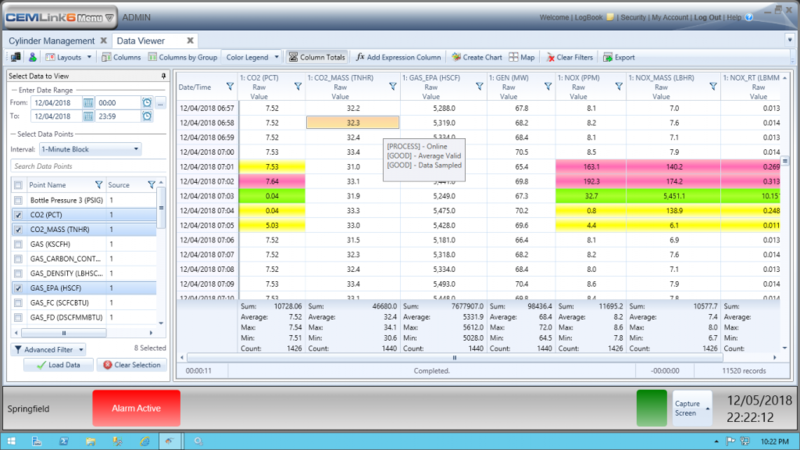 Use Compliance Events View to track and log CEMS downtimes and excess emissions. With the ability to associate individual reason and action codes to specific alarms, automatic alarm acknowledgment with automatic reason and action coding are also possible. 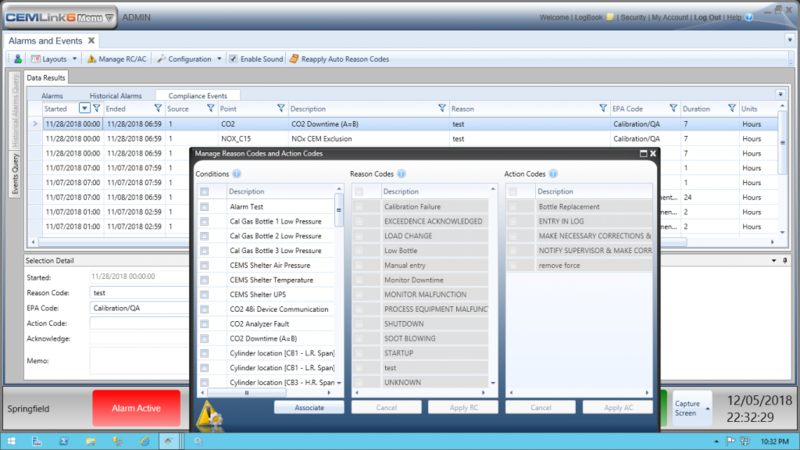 System Events Utility tracks all user activity and system functions, and logs the data in the database. You can easily control access to certain information and features by limiting user activity based on responsibilities. This integrated security measure helps organizational leaders to permit the appropriate level of access to users. VIM Technologies originally introduced CEMLink3 in 1994, utilizing the Windows 3.1 platform and FoxPro database. Each year saw the introduction of exciting, cutting-edge updates, including the ability to monitor acid rain in 1995. Today, CEMLink6 is the software of choice for companies that want to standardize on an evolving state-of-the-art product, driven by customer input. Ask around and you’ll find that companies who want to know they are compliant use CEMLink6. To learn about CEMLink6 in more detail, call us at 866-484-6435 or register for our upcoming Mini User Group in Grapevine, TX scheduled for early February 2019.